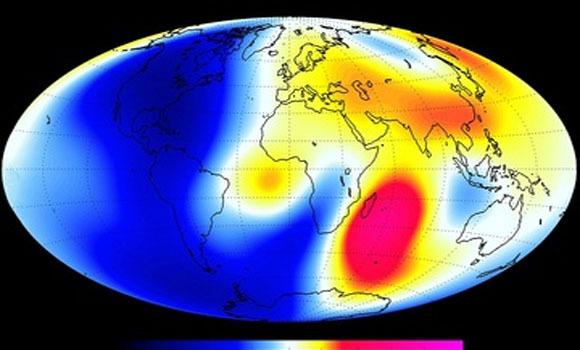 Earth’s magnetic field acts like a giant invisible bubble that shields the planet from the dangerous cosmic radiation spewing from the sun in the form of solar winds. The field exists because Earth has a giant ball of iron at its core surrounded by an outer layer of molten metal. Changes in the core’s temperature and Earth’s rotation boil and swirl the liquid metal around in the outer core, creating magnetic field lines.